Continuing my madness of salads… I have experimented with some ingredients and I admit, it’s one of the best combo I have tried! It’s healthy, quick and yummy dressing to be used in sandwiches, salads, tacos/nachos, wraps/rolls or simply as a dip!!! 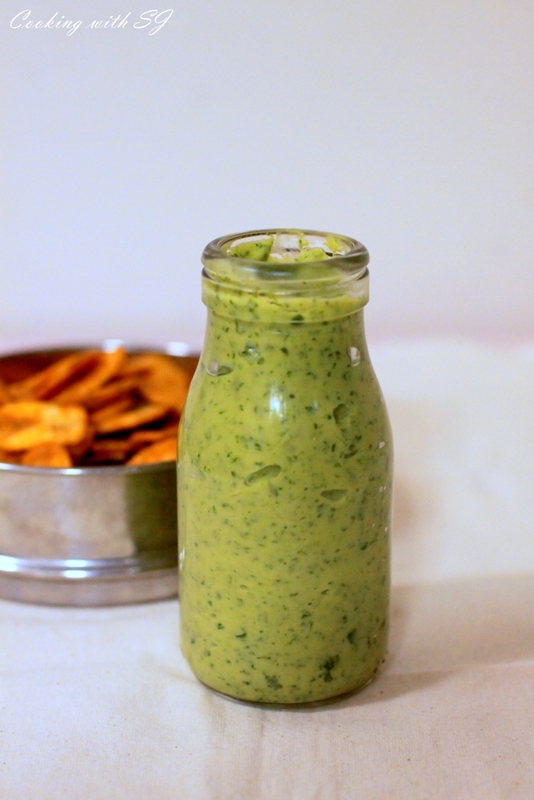 :) This dressing has a lovely freshness of coriander, tangy taste of lime and butteryyyyy texture of avocado <3 Sounds great, isn’t it? Scoop out avocado and take it in a mixture jar. Add rest of all the ingredients and a tbsp or 2 of water (only if required). Grind everything to make a smooth dressing. Tried this dressing in a Mexican restaurant in Salem, Oregon. I enjoy reading your recipes .